Government-bond prices tumbled Wednesday, sending the yield on the 10-year U.S. Treasury note above 2% for the first time in more than nine months, as investors rushed to wager that expansive fiscal spending under a Donald Trump administration will mean higher bond yields in coming years. The yield on the benchmark 10-year note rose to 2.070%, up 0.203 percentage point from Tuesday’s close, the biggest one-day increase since July 2013. Prices fall when bond yields rise. The price declines extended a bond-market selloff that began in earnest this summer after yields slid to all-time lows in some countries following the U.K.’s decision to leave the European Union. Wednesday’s slide marked a sharp reversal from an initial market rally late Tuesday in response to signs that Mr. Trump’s candidacy was on the verge of a stunning upset in the U.S. presidential election. The whipsaw trading wasn’t limited to the 10-year Treasury. The yield on U.S. 30-year bonds soared to 2.877%, up 0.247 percentage point, in its biggest day-to-day increase in yield since August 2011. Yields rose across the globe. In Germany, the 10-year bund’s yield rose to 0.20%, after spending much of 2016 in negative territory. In Japan, the 10-year bond yield rose to minus-0.08%. There are signs of more pain ahead for bondholders. Despite the higher yields, investors showed little interest in a $23 billion auction of 10-year notes Wednesday. The bid-to-cover ratio, a gauge of investor demand, fell to the lowest level since 2009. “No one wants to catch a falling knife; right now, the knife is very much falling,” said Aaron Kohli, an analyst at BMO Capital Markets. While investors still are waiting for specifics on Mr. Trump’s economic plan, the focus in the bond market has quickly shifted to his promises to boost spending and cut taxes. Many believe that plan would expand budget deficits and likely add to upward pressure on bond yields, as investors demand greater compensation for lending to a country with larger borrowing needs. Donald Trump’s surprise victory could thwart rate-increase plans and put more pressure on Federal Reserve chairwoman Janet Yellen. WSJ’s Lee Hawkins explains. The surge in yields was “a reflection that we may finally see fiscal policy start to take some of the weight off monetary policy,” said Henry Smith, co-chief investment officer at Haverford Trust, with $6.1 billion in assets under management. The jump in long-term rates led to a sharp steepening of the Treasury yield curve, with the gap between the two-year and 10-year Treasury note yields increasing to 1.176 percentage points, up from 1.005 percentage points Tuesday. A steeper yield curve is generally taken as a signal of a more robust economic expansion, in part because it tends to boost the earnings of banks, which profit from borrowing at low rates and lending at higher ones. 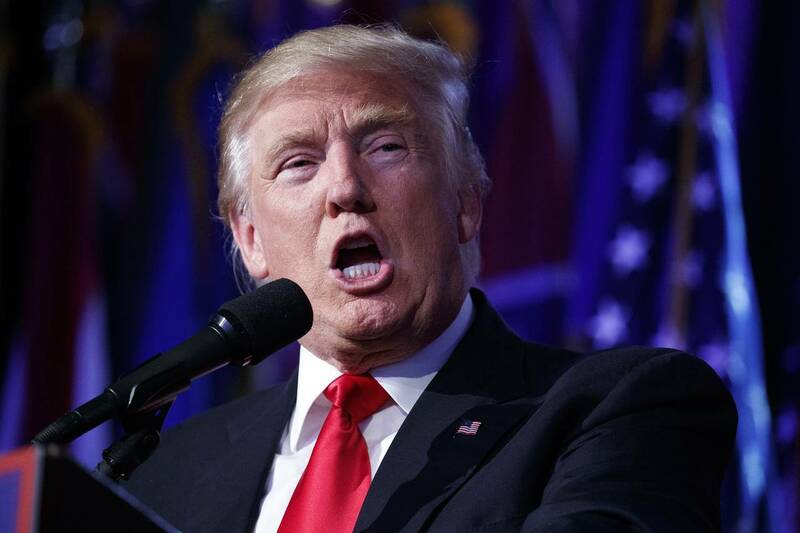 Investors are digesting “the fiscal implications of what a Trump presidency might mean,” said Mark Dowding, co-head of investment-grade debt at BlueBay Asset Management. The hope is that the U.S. economy would eventually be lifted out of the low-growth doldrums with the help of fiscal stimulus, along with corporate-tax changes and some regulatory relief, investors say. That “is a clear mandate that people want change. They want job creation, they want better growth,” said Bob Michele, global head of fixed income at J.P. Morgan Asset Management. “Now you have talk about a potential fiscal spend, then central banks can normalize [policy] more aggressively. That’s what the market is beginning to price in,” said Mr. Michele, who expects the 10-year Treasury yield to rise to at least 2.5% by spring 2017. Investors will be watching carefully for clues on how likely it is that Mr. Trump will be able to push through increased fiscal stimulus. The Republican Party won both houses of Congress, but it is still unclear whether Mr. Trump can persuade fiscally conservative House Republicans to support his plans. “The fault line between him and Congress is that they’re fiscally conservative; his instincts are Reaganite in that deficits don’t matter,” said Eric Lonergan, a fund manager at M&G Investments. Matthias Hoppe, a portfolio manager at Franklin Templeton Investments, said the bond market could get pulled in different directions if Mr. Trump manages to implement the policies he promoted during the election campaign. A drop in U.S. trade would likely act as a drag on U.S. growth, he said, and should keep Treasury yields depressed. On the other hand, fiscal stimulus and increased government borrowing could send yields higher. “It’s difficult to assess which of the effects is going to take place first,” said Mr. Hoppe.